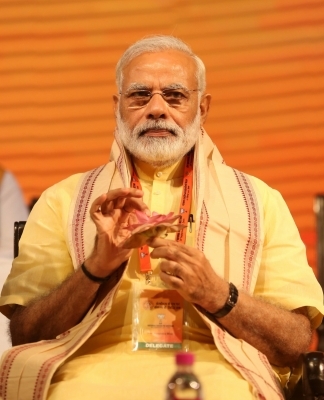 New Delhi Sep 16 (IANS) Prime Minister Narendra Modi will be on a two-day visit to his parliamentary constituency Varanasi in Uttar Pradesh from Monday. He will arrive in Varanasi on Monday afternoon and will head directly for Narur village to interact with children of a primary school who are being aided by the non-profit organisation "Room to Read" a Prime Minister s Office statement said on Sunday. The Prime Minister will later interact with students of the city-based Mahatma Gandhi Kashi Vidyapith University at the Diesel Locomotive Works campus. On Tuesday he will inaugurate and lay the foundation stone for various development projects cumulatively worth more than Rs 500 crore from Banaras Hindu University s (BHU) Amphitheatre. "Among the projects are Integrated Power Development Scheme for Puraani Kashi and an Atal Incubation Centre at the BHU. The projects for which the foundation stone will be laid is the Regional Ophthalmology Centre at the BHU " said the statement.